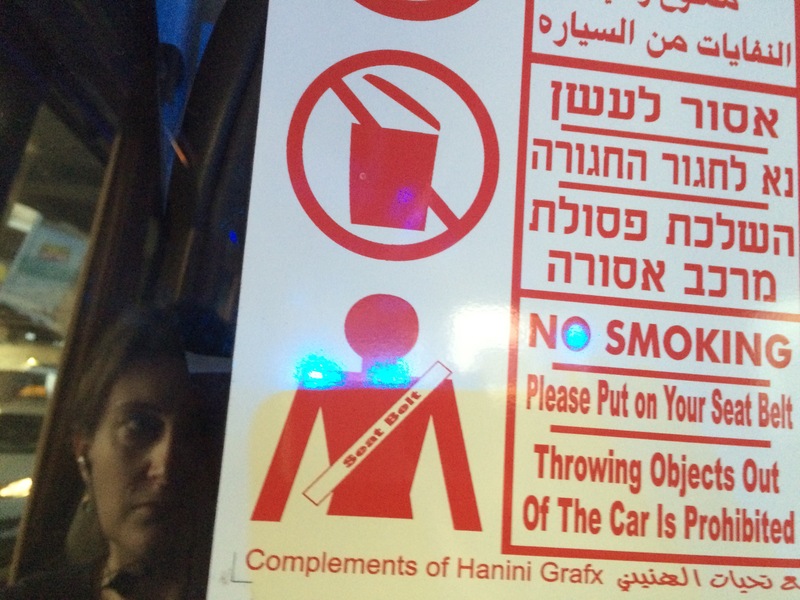 Throwing Objects Out Of The Car Is Prohibited so, although the sign had put the idea in my head and induced an overwhelming desire to do just that, I instead had to kick back, stare out of the window and cocoon myself in the reassuring familiarity of an Agatha Christie audio book. Once the shared minibus had filled up and we set off, I realised that I was, dare I say it, happy. 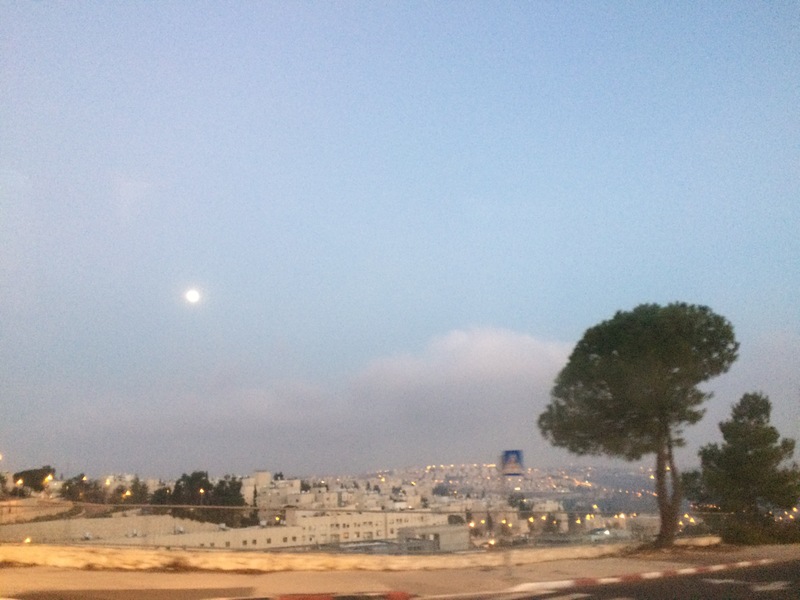 By the time the journey from Tel Aviv to Jerusalem began I had already been feeling somewhat content, with the satisfaction that comes from the little things, like shedding some winter layers, fending off expensive taxi drivers, finding a sherut, successfully communicating my destination, and even getting a window seat. But this was more than traveller contentment, it was proper happiness. I hardly dared name it for fear that its acknowledgment would bring about its demise. The driver shouted loudly on his mobile phone, conversation flowed round me in a language I didn’t understand, and the wind on my face from the open window made me feel alive. The deep afternoon sunshine illuminated the gnarled dusty landscape before disappearing into a dusky pink hue, and the sky darkened slowly behind the ubiquitous cables and pylons which I always used to think ruined a view but now somehow seem to make it. Nothing looked, sounded, felt or smelled like England. Quite how the combination of those elements engendered such happiness, I’m not sure, but it was almost a relief to know that the oppressive weight could still be lifted. No wonder people try to hold onto that feeling by swapping their normality for a backpack and a culture that is not their own. The minibus meandered round orthodox Jewish neighbourhoods, dropping people off and providing a welcome glimpse into worlds that I’d otherwise struggle to enter. And as loathe as I was to arrive and lose the joy of the journey, my friends’ enthusiastic welcome kept the smile on and, more importantly, behind my face. I’d arrived. December 14, 2016 in Migration & Travel, My Life.